I don’t like award season. I’ve always watched award shows with a mix of fear and confusion. Fear because at any moment any star could say something embarrassing and/or career-threatening, especially when said stars are allowed to drink, like they are at the Golden Globes, and I cringe and flinch through the whole show. Confusion because, while I do factor in Hollywood politics when I contemplate what the best movie of the year was, I do not normally take into consideration the opinions of people who know nothing about movies, and most of the time that’s who I feel is picking the winners. But, even though I was watching the Golden Globes with great trepidation, watch them I did. Tina Fey and Amy Poehler delivered the solid burns that everyone expected them to make. They high-fived. If you watched closely, you could see the exact moment that Poehler got over Will Arnett. I think everyone rested easy Sunday night knowing Fey and Poehler lobbed a serve that Seth MacFarlane and the Oscars will not be able to return, and yet I still somehow feel ripped off. I have the strangest feeling that Fey and Poehler only met my expectations when I know (deep down, I know) that they could have exceeded them. 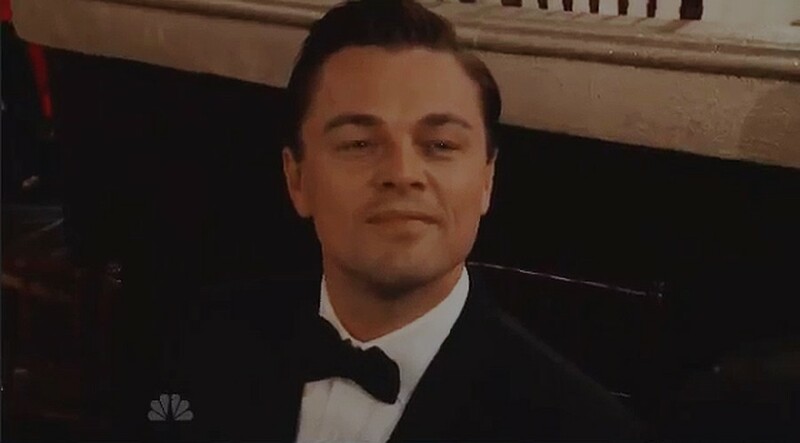 In order to officially count as an award show these days you have to nominate Leonardo DiCaprio for something and not let him win, which the Golden Globes neatly got out of the way with the first award, for Best Supporting Actor. That the winner was Christopher Waltz, one of DiCaprio’s costars, gave the endeavor an extra bit of aplomb. The Globes burned through some of the bigger TV awards early on, during which you either realized you were so over Homeland or really needed to start watching Homeland. Bill Clinton showed up to introduce Lincoln, and Poehler changed my life forever when she said, “That was Bill Rodham Clinton,” because that is now how I will refer to him for the rest of my life. Jennifer Lawrence, my new best friend, started off her speech right with a quote from The First Wives Club, “I beat Meryl.” Both Anne Hathaway and Lena Dunham were played off, winning me $10 each— thanks, guys. Tony Kushner and Wreck-It Ralph were robbed. Louie didn’t win but, on the bright side, neither did The Big Bang Theory. I will refrain from saying anything about Girls and its blowout night last night other than that Dunham needs to make more practical shoe choices. And when did Taylor Swift become fair game in polite company? When did that happen? Jodie Foster, who won the Cecil B. DeMille Lifetime Achievement Award, gave a kind of worrying speech. Not that it wasn’t very inspirational and touching, but I do think at one point she gave her mom permission to die. In like, a touching way. But the Golden Globes, as they are oft to do, sent a message to the Oscars, and while message Fey and Poehler sent was “quit while you’re ahead,” Ben Affleck’s two big wins (Best Motion Picture and Best Director) signal the changing tides of award shows. The Golden Globes and many other smaller award shows often give awards based on building careers rather than on the merit of the film or show that’s nominated. Meanwhile, TV is slowly becoming a free-for-all where the only thing that matters is how many people are watching. People don’t want to see pomp and circumstance, which is the only advantage the Oscars cling to. Instead, viewers want to see actors, directors, and writers they know, and know to create awesome films, get recognized for that. What people don’t want to see is cheap ploys to get young people to pay attention to you (hiring MacFarlane thinking that Ted is what’s hot right now is a classic TV executive move, following the money instead of the word of mouth). The Academy Awards cleverly released their list of nominees three days prior to the Golden Globes in an effort to not seem reactionary, but tune in on February 24 to see if they succeed at that or not.